The crossover that broke Mac Miller’s ankles during a celebrity basketball game is circulating the internet at the speed of a high school rumor traveling across the lunchroom. He takes the moment of embarrassment in stride, laughing as he rises from the arena&apos;s floor. At least he’s on the floor; at least he’s in the game, a position most rappers couldn’t imagine back in the early ‘90s. I wonder if Kurtis Blow thought about the possibility of playing alongside Dr. J and Moses Malone when he name-dropped them back ‘84? He mentioned all the classic ballers - Larry Bird and Pistol Pete, Jerry West and Earl The Pearl. 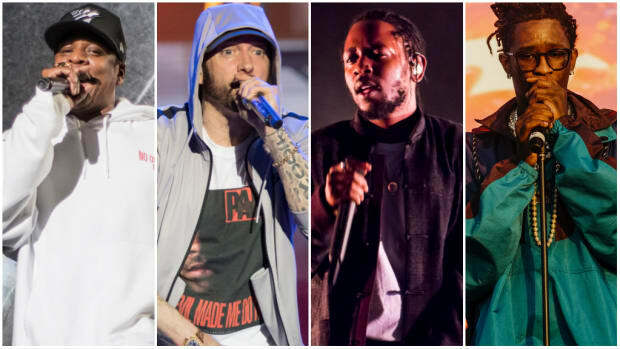 The sport he proclaimed as his favorite is now intertwined with hip-hop in ways that no rapper could ever foresee, but just like Kurtis, rappers have continued to name-drop all their favorite ballers throughout the years. The song “Sportscenter” can be found on Lil Wayne’s Dedication 2. Before he begins to rap, Weezy talks about his love for sports and it’s far from an embellishment. XXL once wrote an article stating that every team Wayne has rapped about has gone on to win a championship - the opposite of the Drake curse. It should come as no surprise that he has name-dropped athletes from hockey to tennis, but he has a special place in his rhyme book for the basketball players. 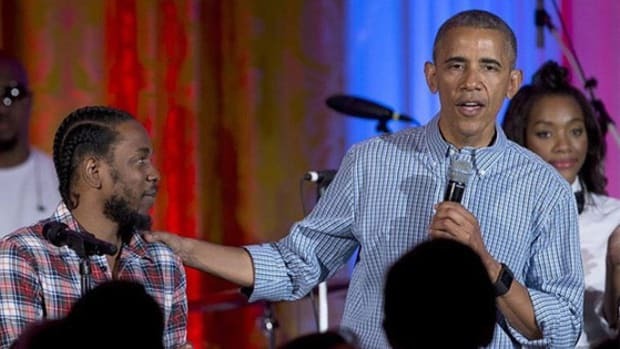 The brilliant way he was able to rhyme LeBron James, Jordan, and Kobe Bryant to contrast his position in rap to Jay Z was mind-blowing. He has compared his ball skills to WNBA player Sheryl Swoopes, referenced making a person disappear by mentioning Ed O&apos;Bannon, turned Dr. J/Julius Erving into metaphors for lighting a joint, and even intertwined Pat Riley into a punchline about how much heat he has. 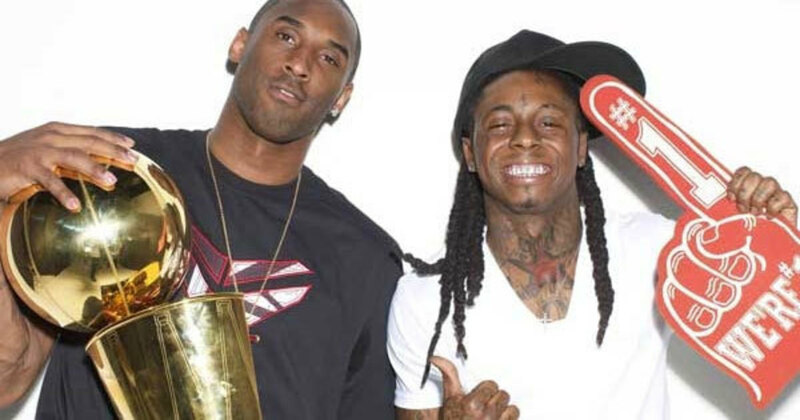 When Kobe Bryant retired, I was reminded of the Lil Wayne tribute song that he made some years ago. Very fitting since he’s been proclaiming that the Lakers have been his favorite team since the “Best Of Me” freestyle. In one verse alone, he mentioned Kobe, Gary Payton, Clyde Drexler, Dominique Wilkins, and Michael Jordan. He uses their jersey numbers to brag about the size of his rims; Wayne finds ways to brag different. Before Wayne attacked the Mya single, it was Jay Z who appeared on the remix. Jay has a similar affinity for sports references, delivering arguably the best in all of rap. What’s impressive about Jay is how well he fits his sports references into his bars - rapping that he’s spending more money than Latrell Sprewell is a scathing but amazing reference. He has countless lines comparing and contrasting his position in rap to Michael Jordan’s position in basketball, but it’s when he’s outside the box that the lines really land. It was his verse over Joe Budden’s “Pump It Up” where Jay really flexed his pen’s prowess: Mike Jordan, Kobe Bryant, Tracy McGrady, Harold Miner, J.R. Rider, Pervis Ellison and Shawn Bradley are all referenced within the same lines of each other. It’s an NBA reference combo. Sam Bowie, Michael Jordan, Magic Johnson and Larry Bird are all named on “Hola Hovito.” Allen Iverson, Scottie Pippen, Nick Van Exel and Hakeem Olajuwon all appear in raps and rhymes. Hundreds of basketball lines are scattered across Jay’s incredible discography. 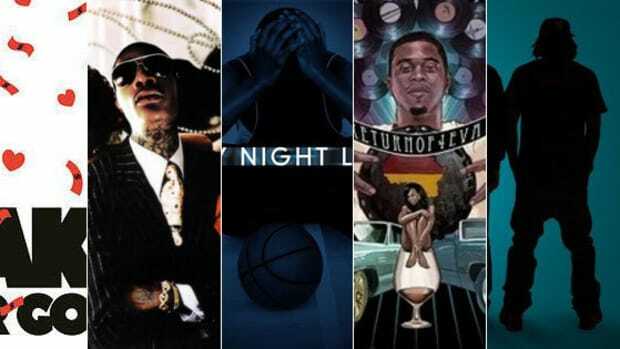 Jay and Wayne might be able to bridge lyricism and sports, but so can Wale. He’s another artist whose love for basketball is represented in his artform. Wale is a writer who is all about being clever and witty. He wants you to be wowed by the thought process that went into the rhyme. When he rapped “I turn Ducks into Bucks, Luke Ridnour,” it’s because Luke Ridnour played for the University of Oregon in college and the Milwaukee Bucks when he was traded from the SuperSonics in 2008. “Getting higher than Shaquille O’Neal’s field goal percentage” from “Heaven’s Afternoon” is one of my personal favorites. He raps about Shaq again when he calls himself The Diesel, compared to his competition (a.k.a. Udonis). He bragged about feeling like Chris Childs while his competition was Kobe Bryant’s jaw - a reference to Chris and Kobe’s brief scuffle. On the song "Barry Sanders" he calls himself Kobe and other rappers Vlade Divac. Josh Smith, Ron Harper, Kemba Walker and more have all been name-dropped throughout the years. 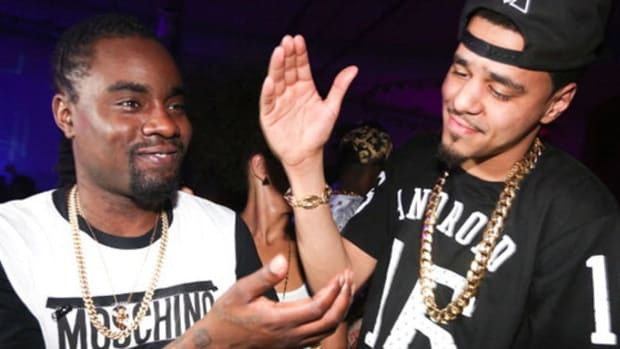 Wale&apos;s not just a fan, he’s a true student of the game. His knowledge of basketball is expansive enough to make numerous lines seem effortless. 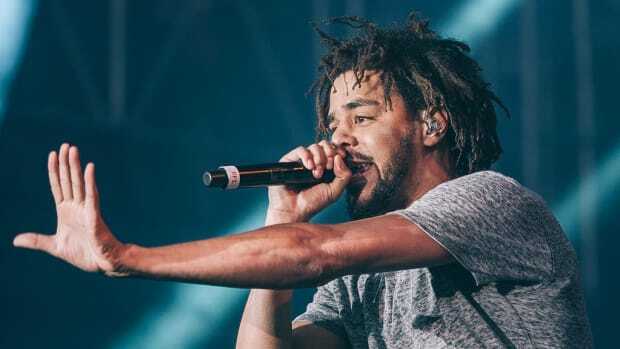 J. Cole themed his first few projects around basketball. He didn’t make the team, so he got into rapping but never lost his passion for the game. “My whole life practice to be the one / what&apos;s it like to be LeBron,” is what he raps on “Dead Presidents II” from The Warm Up. Drew Gooden, Vince Lombardi and John Wooden are all referenced on “Return Of Simba” as notable athletes that can’t be guarded, much like Cole. Penny Hardaway, Reggie Miller, David Robinson, Kobe and Iverson were the heroes he named in “I Got It” when describing basketball as his passion before hip-hop came into his life. 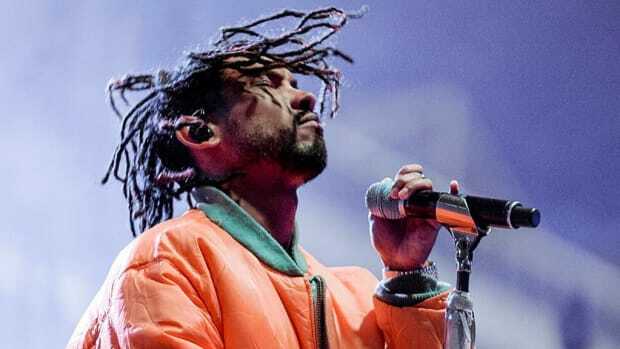 His first album may be called Sideline Story, but there’s plenty of basketball lyrics that display how invested Cole is in watching the game. 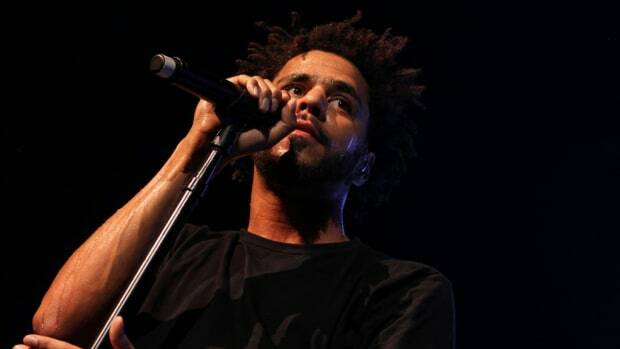 Just like Jay Z, Cole is one rapper who wears his passion for the game on the microphone. Migos really love sports. Along with all the jewels, women, cars and money that appear in their rhymes, there&apos;s always plenty of athletes. The “Out The Gym” remix is one big NBA name-drop. Clyde Drexler, Dominique Wilkins, Shawn Kemp, Chris Paul, Kareem Abdul-Jabber and more are mentioned throughout the song. “Slam Dunk” is another song riddled with ball players: Dirk Nowitzki, Kendrick Perkins, Chris Paul, Steve Nash and Jermaine O’Neal. I’m almost surprised that we have yet to get a Migos version of Kurtis Blow’s “Basketball.” The Migos aren’t exactly known for being lyrical geniuses but I did chuckle when Quavo called out the phony shooters on “How You Say” by calling them a fake Steph Curry. 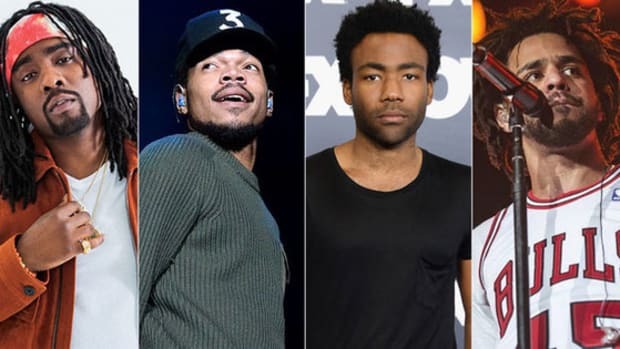 Drake, Joe Budden, Chief Keef, The Game, Jadakiss, Phife Dawg... the list of rappers who have incorporated their favorite players into rap is endless. Basketball players inspire material. The right hook shot, the right slam dunk, the right crossover can become a powerful punchline if witnessed by the right rapper. It all depends on how many ways you can twist and turn a moment or player into a witty or clever lyric. Rappers and basketball will always be tied, forever crossing over, both in the booth and on the court. By Yoh, aka Yoh Hardaway aka @Yoh31.